Ray Rowlands of Drinksinfo says progress is surprisingly slow in the soft drinks market's flavour mix, as cola and orange continue to dominate. Ask anyone what the most popular flavour of soft drink is and they might well say orange, and they would be correct. Or, at least outside the world of carbonated soft drinks they would be. In reality, due to the size of the CSD segment and the status of brands like Coke and Pepsi, cola is in fact the top selling flavour. Cola accounts for over half of all CSD volume and around a third of all soft drinks combined. That is after taking bottled water out of the equation. Although cola had been around before the 1880s, it was 1886 that really put the flavour on the map, thanks to the invention of Coca-Cola by John Pemberton. The original formula contained coca leaves and kola nuts, but despite the name the base flavourings that most people identify with the cola taste today are actually vanilla and cinnamon. 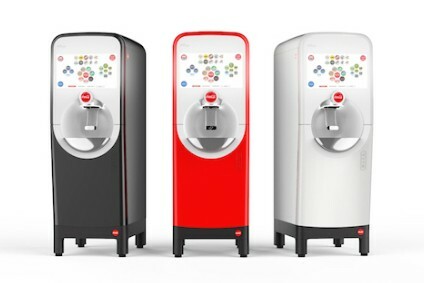 Cola relies heavily on carbonated soft drinks for its success although it has also been traced as a still drink in a carton and as a fruit concentrate (both in powder and liquid format). Orange as a flavour has a much wider usage. Not only is it the most popular juice and juice drink it too features prominently as a CSD. In fact, orange flavoured CSDS (with or without actual juice content) actually outsell pure orange juice, probably due to the efforts of Coca-Cola and PepsiCo with their Fanta and Mirinda brands. With orange being so widely accepted as a beverage flavour it is hardly surprising that most citrus fruit production is accounted for by oranges with Florida and Brazil responsible for well over three quarters of global volumes. Brazil is the main supplier on the international stage. Most US juice is consumed domestically, but the country still relies on imports to top up demand. Besides being the second largest orange juice producer in the world the US is also the biggest consumer. Combined lemon and lime soft drink volume is not that far short of orange. Like cola, most is confined within CSDs as a lemon/lime mix (e.g. Sprite and 7-Up). Across the broader soft drinks sphere, lime primarily appears as a cordial base. Straight lemon as a flavour has both a far greater application and consumption level. Like lime, it is not overly popular as a juice because of its sour taste but it is a prevalent ingredient in various drinks, including lemonade, but especially iced tea. 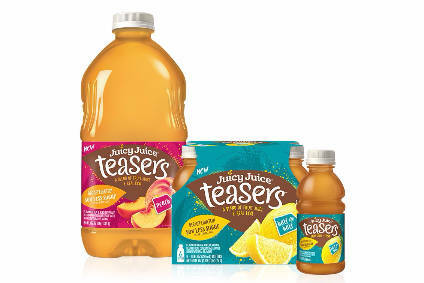 Most iced tea ranges carry a lemon variant. Whilst limes were first grown on any large scale in Persia the actual lemon tree originated in Asia and half of lemon flavoured soft drinks continue to be consumed in the region. But production and consumption of both fruits and their juice have gradually extended around the globe. Brazil, Mexico and India are now amongst the top lemon and lime producers in the world. Tastes are changing as the soft drinks market evolves. Indeed, in the case of pure juice (being largely natural and unprocessed), a wide range of approaches need to be pursued in order to maintain consumer interest. Flavours that provide functional benefits are one area of development. So called “superfruits” fall under this banner. “Superfruits” (a creative marketing term rather than one founded on specific scientific grounds) tend to include somewhat obscure fruits, such as acai berries and acerola yet overlook popular fruits like oranges or pineapple despite their nutritional properties. Generally such “superfruits” remain as niche entries in the soft drinks arena, although acerola has a strong presence in Japan as a still drink. Pomegranate, in particular, has achieved a much broader presence. Known for years for its health properties (high fibre content, anti-oxidants and vitamins) it was generally absent as a drink ten years ago, but today pomegranate as both a pure juice (such as the POM brand) and juice drink has gained a loyal and growing following in both Europe and North America. At the same time a drive towards sensory innovation is favouring exotic flavours in general. Mango, which has an established soft drinks history long pre-dating the arrival of “superfruits”, is now one of the top five best selling nectars. Nectars (less than 100% juice content but more than 30%) have a wider flavour scope than pure juice as water and sweeteners are added to bring the final product to a palatable consistency. Thus, fruit flavours that are generally too pulpy (mango), sour (lemon) or tart (cranberry) to succeed as a pure fruit can achieve a high degree of success as a nectar. But it is not always new flavours that are taking the place of established ones but also a rebalancing of existing offerings. In the US for instance, Dr Pepper, with a market presence dating back to the 1880s and which pretty much personifies the “pepper” segment of the domestic CSD category, is gaining share as cola contracts. In the Indian CSD market lemon/lime is also slowly encroaching on the dominance of cola supported by a refocusing of CSD producers to match a local preference for uncarbonated lemon and lime drinks. 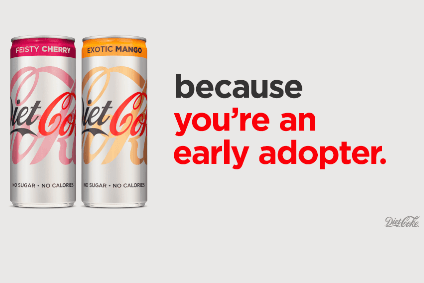 In further support of this trend, in February this year Coca-Cola announced that is to revamp Citra, a lime CSD that has been in hibernation for almost two decades. Twenty years ago cola was responsible for over half of all worldwide carbonate sales. Its share may have contracted a little, but its dominance is maintained. Similarly the supremacy of orange within the juice market remains largely unchallenged. Consumers may be developing more adventurous taste buds, but when all is said and done progress in the flavour mix and on a macro level is only happening very slowly.